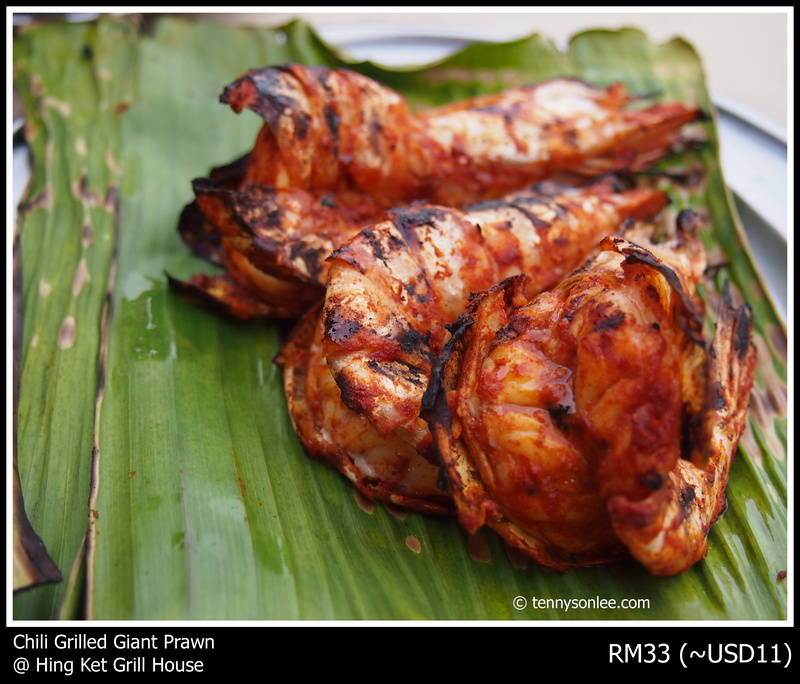 The weather this evening was great, so I brought my family to Kampung Jawa to sit at the opened-air table at Hing Ket Grill House. 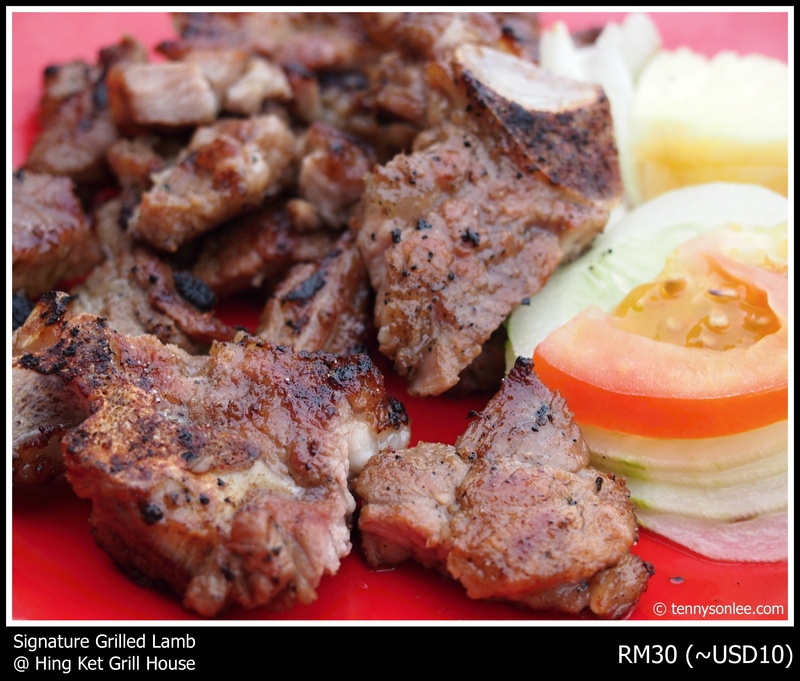 The highly recommended dish has to be the grilled lamb. The meat is tender but the secret recipe lies in the mint sauce. 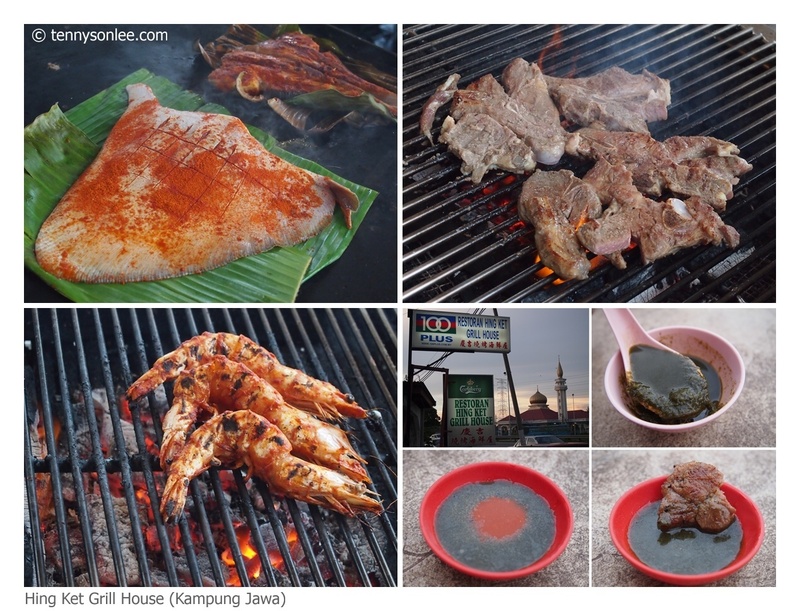 The owner encouraged me to mix the sambal sauce with the mint sauce, and the result was good. 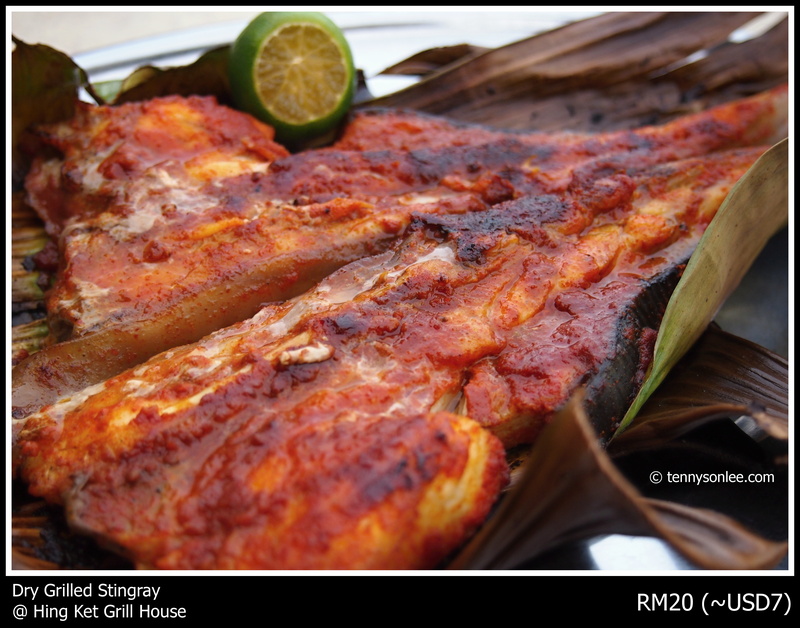 Grilled stingray was great, especially sitting in the opened air, with coconut juice or beer. 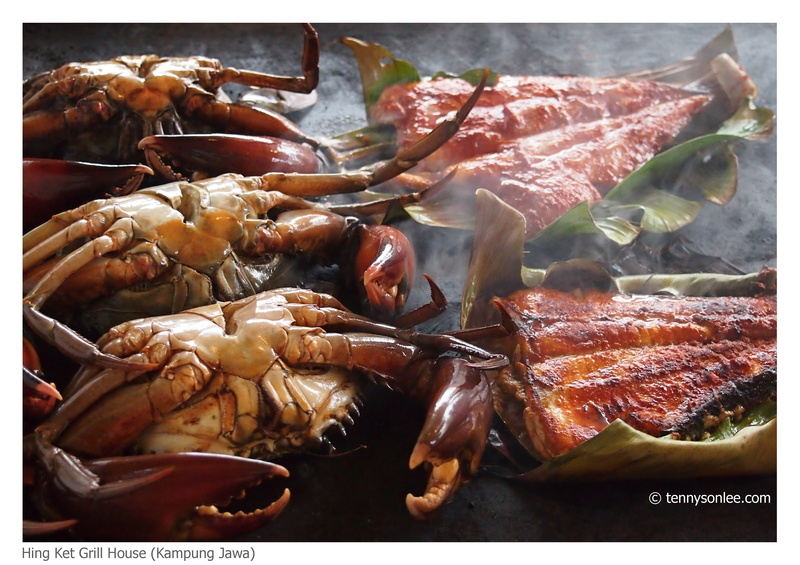 You can try other grilled seafoods such a squid, crab or prawn. I love prawns, so these prawns ended up as part of my belly fat and protein tonight. The transparent grass noodle is also a signature dish in Hing Ket. I ordered the special home made yam noodle at the restaurent. The boss said it was only made on few days in a week. 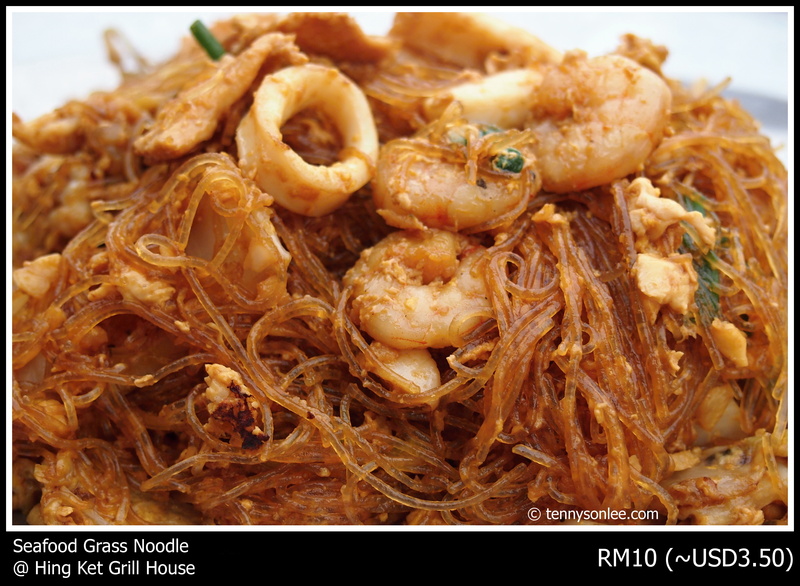 The first impression of this dish looked like Kian Mee, but the noodle was made from yam mixed with flour. If you plan to visit Hing Ket for the first time. My advise is to reach there before 6:30pm, else you may not able to find a parking place. The restaurent can be found on Google Map. Just follow KESAS Highway (or Federal Highway), and follow the sign towards Bukit Kemuning > Kampung Jawa. You may passby the restaurent if you do not pay attention to the small sign board (opposite the mouse as the picture below). Hope you enjoy the mint sauce like I did. Cheers. This entry was posted on October 9, 2011 by Tennyson. 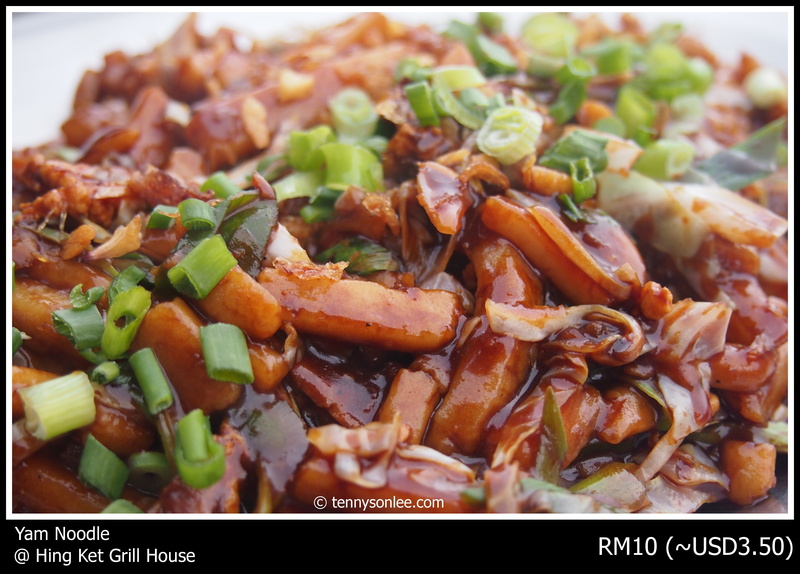 It was filed under Food, Malaysia, Places, Selangor .